The Pantone Plus series from Pantone UK on Vimeo. A video explaining the new PLUS series from Pantone Inc. After over 40 years of producing the Pantone Match System, Pantone release this new selection of colours. As one of the UK’s main distributors of Pantone products, this video is essential in explaining the new changes to the UK market. PANTONE COLOR MANAGER Software, available free-of-charge with every PLUS SERIES purchase, lets designers update their favorite design applications with the new PLUS SERIES Color Libraries. An added feature allows users to convert spot colors to CMYK simulations based on loaded ICC profiles. Creatives can also access the entire PANTONE PLUS SERIES from their iPhones with the myPANTONETM iPhone® application, empowering designers to capture, create and share PANTONE Color Palettes – wherever they go and whenever they find inspiration. Additionally, with the myPANTONE X-Ref iPhone application, designers can easily cross-reference all PANTONE Color Libraries. Making a color-critical decision under the wrong lighting conditions can greatly compromise the final product. All guides in the PLUS SERIES include a ColorChecker Lighting Indicator to instantly show whether current lighting conditions are suitable for color evaluation. All books in the PLUS SERIES are printed on text-weight paper to more closely reflect the majority of printed work today and meet certification standards set forth by the Forest Stewardship Council (FSC), an independent organization that promotes responsible management of the world’s forests. Products carrying the FSC label assure consumers they are choosing products from forests managed to meet the social, economic and ecological needs of present and future generations (Certificate Code SW-COC-003183). The FORMULA GUIDE and SOLID CHIPS introduce 224 new solid colors for a total of 1,341 colors, offering designers more options and flexibility in the creative process. The new colors are formulated with the same 14 ink bases that were the foundation of the PANTONE MATCHING SYSTEM, ensuring that printers worldwide can reproduce the new colors when specified. Consistent ink film thicknesses make the new colors easier for printers to match on press. After extensive technical research, development and testing, a single version suitable for worldwide use is now available. The new COLOR BRIDGE guide has been printed within today’s ISO specifications and G7® processes, with the exception of a more desirable, optically brightened paper. The new CMYK guide offers a smoother progression of 2,886 CMYK colors for four-color process printing. The guide is printed with bio-friendly ISO-certified inks using a digital workflow within ISO specifications and G7 processes, but on optically brightened paper, allowing for a single version that is suitable for worldwide use. The PANTONE PLUS SERIES provides significantly enhanced tools for working with specialty colors that add flair and pop to any design. PREMIUM METALLICS includes 300 new, non-leafing metallics that have been formulated for greater brilliance even when coated. Neon colors have been gaining popularity in print, spurred by the sportswear, swimwear and footwear markets. To satisfy this increasing demand, PASTELS & NEONS offers a broad collection of 154 pastels with 56 neon colors. The PANTONE PLUS SERIES products are available immediately and can be purchased from designface, direct. COLOR BRIDGE will be available in June 2010. Through the PANTONE Chip-in Program, customers can trade in old PANTONE Products and receive a rebate to help offset the cost of upgrading to PANTONE PLUS. Every PLUS SERIES purchase includes COLOR MANAGER Software free-of-charge upon registration. The public beta version of COLOR MANAGER will be available in June 2010 to registered users. PANTONE PLUS Digital Libraries for Adobe and Quark will also be available in June 2010 free-of-charge to anyone wanting to update their favorite software with the new PLUS SERIES colors. myPANTONE and X-Ref are available for download at the Apple iPhone App Store for U.S. $9.99 and $1.99 respectively. myPANTONE and X-Ref are compatible with iPhone OS 3.0 or higher, and can be used on the iPhone, iPod Touch® and iPad. 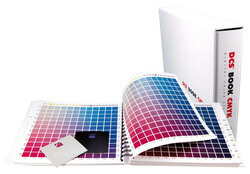 Automatic updates to the applications including the new PANTONE PLUS SERIES Color Libraries will be available June 2010.